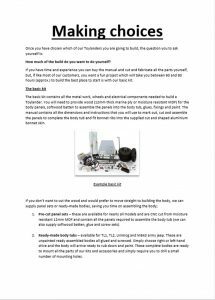 Unsure where to start building your Toylander? Our 'Making choices' guide can help you decide what build option is best for your project. For tips, tricks to help you with your build and view some photos of other completed Toylanders.